I’ve been reading a lot lately (but then, when am I not?). I’ve also managed to catch a couple of great movies as well. So I thought I’d share some of my thoughts on them with you! The excerpts below are the slightly abridged versions of the full reviews found over at Pagan Bookworm, so head over there if you want the full report. If you have spent much time studying occult literature, you know that Great Britain is rife with magical lore: fairies, Arthurian legends, druidry, cunning folk, etc. 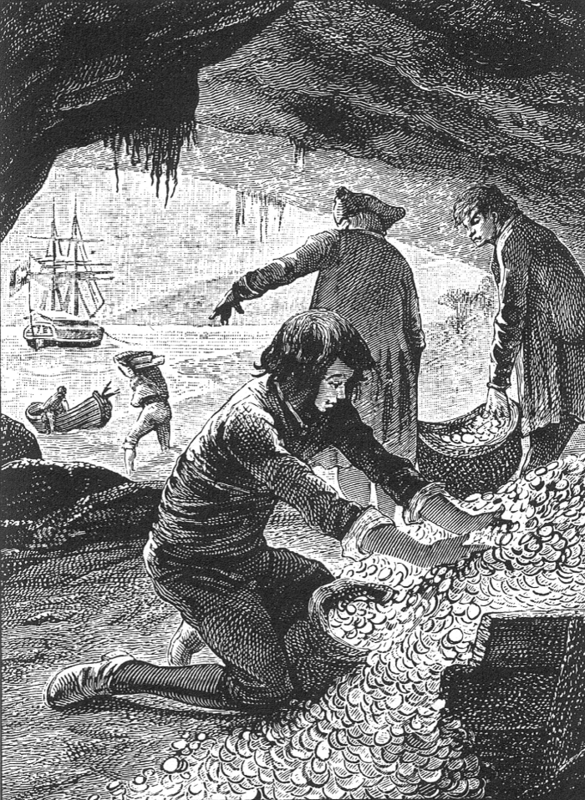 In The Book of English Magic, Philip Carr-Gomm and Richard Heygate make the not-too-audacious claim that Britain’s magical history is one of the richest—perhaps the richest—in the world. They approach their subject by examining a mix of history, folklore, and modern practices to attempt to piece together a portrait of Britain as an enchanted isle. While I think that they succeed in presenting a magical portrait of a magical land, I also think that the authors are by turns too broad and too narrow. 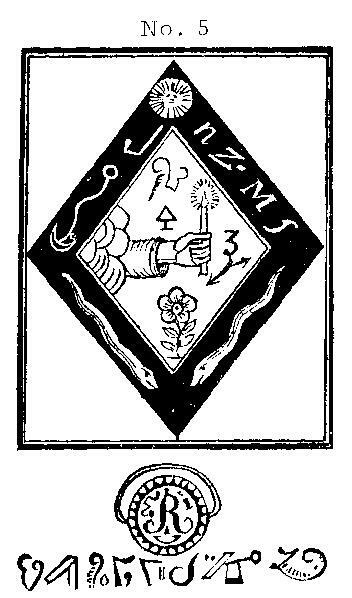 They do a wonderful job looking into subjects like English alchemy and dowsing, providing a number of excellent resources to discover more about each topic. 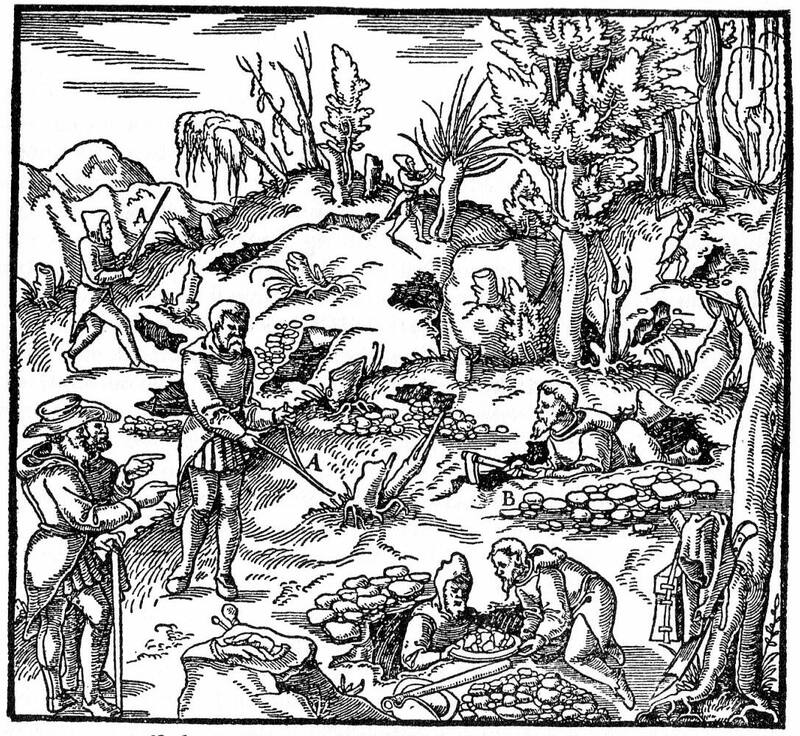 They also dwell overlong on the concept of druidry (not surprising considering it is one of Carr-Gomm’s chief fields of interest—he is also the author of Druid Mysteries, the Druid Plant Oracle, and the Druid Animal Oracle). The paucity of sources supporting some of their research means that while some chapters seem tight and focused, others seem only loosely woven together. They hardly plumb the depths of what is called Traditional Witchcraft, and the concept of cunning folk is given surprisingly short shrift considering how close to contemporary some of that material is. The inclusion of practical exercises gives a slightly ‘workbook’ feel at times, which deflates the momentum of the book in some places, but really does seem to serve the overall work.That being said, if one were looking for a good coffee-table introduction to the myriad magical traditions available to the student of British history, this would be an excellent starting point. This book is about what author Denise Alvarado calls “Voodoo-Hoodoo,” a term which irks some as the continuing inaccurate jumble of two terms which should remain distinct (Voodoo being a religion and hoodoo being a folk magical practice). However, if one takes the time to read Alvarado’s passionate book on the topic, the Voodoo-Hoodoo Spellbook, one can see that she is merely sticking to the terminology most people are familiar with and that the dog of diction has no teeth to bite when it comes to New Orleans-style magic. Instead, Alvarado presents a tradition which blends elements of Haitian Vodoun, folk Catholicism, Southern root work and hoodoo, and a touch of New Age spirituality to create a vibrant, current practice. She uses a number of good resources, often primary ones, to support her understanding of a practice she has lived with her whole life (according to her). She also frequently slips away from the facts and into personal experience, but does so in a non-authoritarian way. Her history of Mardi Gras and the magical folklore associated with them is captivating, as is her heartfelt look at the Seven African Powers. When she does slip off of the scholarly or personal track the book can get a bit messy. Her correspondence tables are not a strength, and her inclusion of New Age style tumbled gemstones in her work almost undermines her traditionalism (as it seems fairly obvious that slaves doing similar work in the 19th century would not have had polished rose quartz to work with). She is flexible and fluid towards Christianity, though here it should be pointed out that she neither says one must work with Christianity nor one must work with African Traditional spirituality. People are looking for spells, and this book definitely has those. There are spells for love, luck, money, protection, and half-a-dozen other needs. Hundreds of spells and workings are contained in this book, as well as recipes for conjure oils and powders, instructions for candle working, and a discussion of poppets and dolls in magical work. Some of them seem totally reasonable within the context of her presented practice, and some seem a little forced. This book fits nicely on the shelf next to other “hoodoo 101” texts, while offering a few doors to open for a reader looking to go deeper. Don’t buy this book. I’m not even bothering providing a link to it. I’ve done a full review at Pagan Bookworm, but let me just say this text is badly researched, mis-cites or fails to cite sources, argues with scholars without presenting their actual point of view/argument, claims that graveyard dirt is just the powdered ash of tree leaves gathered in a cemetery, and says that you can become deeply knowledgable about a plant by studying its sigil. It’s bad history, bad herbalism, and bad witchcraft. All in all, this is a book which suffers from broken clock syndrome (as in, “a broken clock is right twice a day”). He occasionally hits on interesting ideas or brings up worthwhile concepts, but mostly he seems to be posing an elaborate fantasy as a pseudo-historical reality, with very little scholarly backbone to support his claims. When someone prods the gear works, the whole contraption just seems to fall apart. Director Mar turns the camera on three different but spiritually similar people: Kublai, an African American man who belongs to the Spiritualist Church; Chuck, a Lakota Sioux sun dancer; and Morpheus, a pagan witch and Feri tradition priestess. The director captures the challenges of these faiths, including both internal and external struggles. While there is an element of novelty to the practices of each film subject, the director never lets curiosity turn into spectacle. The Sun Dance, which can be grueling for participants, is not simply a show of blood and muscle, but rather connects Chuck to his family in a powerful way. Kublai seems to struggle with just how much he believes in his own spiritual gifts. And Morpheus senses her displacement in the modern world, while at the same time she does not shy away from the society of other people. The film does have its flaws, but keeps a sensitive and intelligent lens focused on these subjects and their deeply-felt spiritualism. This is a rare and lovely documentary on mysticism as seen at the ground level. Available on Netflix. In this outstanding independent film from director (and bit player/musician) Tim Rutili, a lonely fortune-teller and magical worker named Zel (played by the radiant Angela Bettis) lives in an old country house inhabited by a wide range of unusual ghosts that only she can see. There are dead flappers, priests, blind musicians, and a strange, child-like woman named Nyla (Molly Wade) who cannot speak. Zel is not merely a medium, she is also a deeply talented magical worker. She smartly lays down a salt line in front of her bedroom door every night to keep her ghost-friends out. The director cleverly bookends each section of the film with bits of folk magic, title cards with things like “A wish made while burning onions will come true,” which lends to the overall enchantment of the piece. This is such a lovely and exceptional film that I easily overlooked its flaws in favor of being bespelled by these characters. I cannot recommend this film highly enough. Go, watch it now! Available on Netflix. Whew! So that’s been my reading and watch list (at least, that all the ones I could write reviews about lately). What have you been getting into? Almost without exception, dowsers were used to ‘witch’ wells dug in the region [the Upper Cumberland area of TN/KY] before the 1930s. 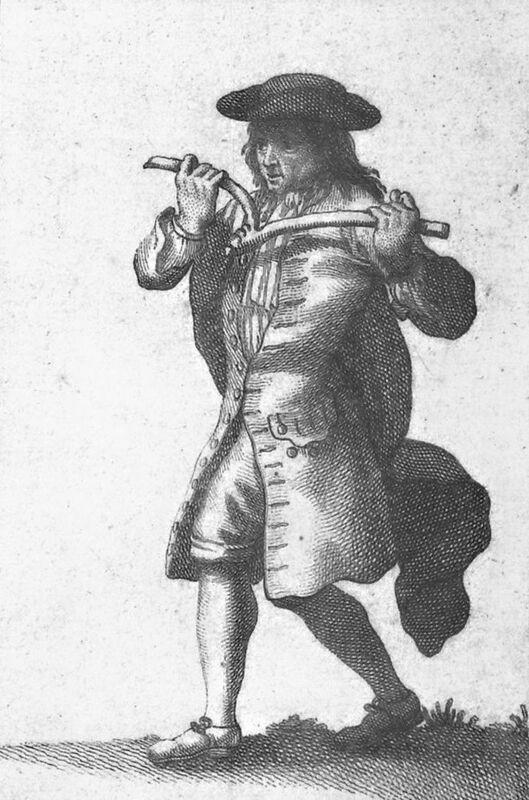 A dowser, or water witch, is a person perceived to have a skill for discovering underground water with the use of a divining rod, usually a small, forked limb cut from virtually any fruit-bearing tree or willow. Because a water witch’s method is not scientifically proven, reliance on this technique is considered a folk practice. However, there were at least 25,000 active diviners in the United States as late as the mid-1950s, according to folklorist Trudy Balcom, and the results of their predictions have proven as successful as those of hydrologists and geologists. Dowsers were often called in before a new home was built, so that the house could be located near a well. To find the water, the dowser typically holds the free ends of the forked prongs, wrists turned upward. Thumbs are pointed horizontally outwards so that the loose ends of the prongs extend three to four inches beyond the thumbs. (There are variations on the manner in which the switch is held.) The dowser walks slowly toward the desired location of the well. When the witch comes upon a subterranean stream immediately below, the vertex of the fork turns toward the ground; the stronger the stream, the more forceful the downward pull. The fork often twists in the dowser’s hands when a strong stream of water is discovered. Some say that the bark will even twist off into the dowser’s hands, and a few people claim that the forked limb often begins to nod, one time for each foot of dirt and rock that will have to be excavated before water is reached (from Upper Cumberland Country, by William Lynwood Montell, 37-8). This summary of water witching covers most of the basics: a forked rod, used to find water before digging a well, the power in the dowser, and the nodding to indicate well depth. It also addresses the issue of scientific verification, which is a sticking point for a lot of professional dowsers. Some argue that they can produce repeatable results with their methods, even going so far as to get large mining companies to acknowledge their findings. Yet many scientific studies are at best inconclusive when it comes to water witching, or even outright disprove the phenomenon (on paper, anyhow). I’m not here to argue the merits of scientific proof of spiritual phenomena, so I’ll just say that both sides have evidence of some kind, and both seem to be firmly convinced of their interpretation of that evidence. Getting back to the folklore of dowsing, I found a rather interesting footnote explaining the dowser’s use of the forked branch in the book Kentucky Superstitions, which seemed to indicate that the forked shape is related to lightning in some way (292). Richard Dorson records the presence and commonality of ‘water witches’ in Illinois in his book Buying the Wind, saying that (in the early 20th century), most farmers had dowsers find wells for them, often for only a dollar or two in payment. He also reports that dowsing for oil had lately (the book was published in 1964 for a sense of temporality) become more common and profitable than dowsing for water (321-22). Veering momentarily into recent history, in a letter dated December 8, 1993, the Chevron Oil Company told Welsh dowser J.P. Taylor that “you opened our eyes to the world of dowsing…it certainly made us think there is more to it than we had previously known.” The letter goes on to highlight how Taylor, with no prior knowledge of the specific geology of two regions, had been able to accurately identify subterranean oil and gas reservoirs. This is hardly proof positive of dowsing’s power, but it should put into perspective the acceptance with which water witching has been met, even in the past quarter-century or so. So that’s it for this cursory examination of water witching. There are probably far more qualified folks to write on this phenomenon than me, so consider this a fleeting glimpse into a fascinating subject. My own experiences with dowsing have been limited to using bent copper rods and attempting it (unsuccessfully) with a broken tree branch (which was not taken from a living tree, so that might explain the problem). If you’ve had experience with water witching or treasure/mineral/oil dowsing, I’d love to hear about it! Please leave a comment below! Otherwise, here’s hoping you find what you seek in life! 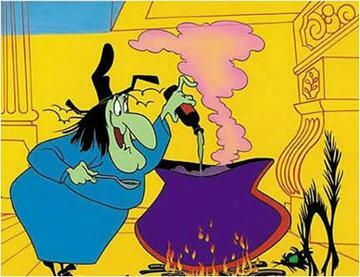 Today’s entry is not about the crazed cartoon sorceress from Warner Bros. cartoons (voiced by the inimitable June Foray), but instead we’ll be looking at the remarkable fall-blooming witch hazel tree. Really, the Hamamelis virginiana is not exactly a tree, but a woody shrub which can be found growing near water sources or in forest undergrowth throughout the Eastern United States (as well as in parts of Europe). It bears gorgeous yellow flowers in fall which look almost like a deep yellow honeysuckle bloom or a spidery golden star. 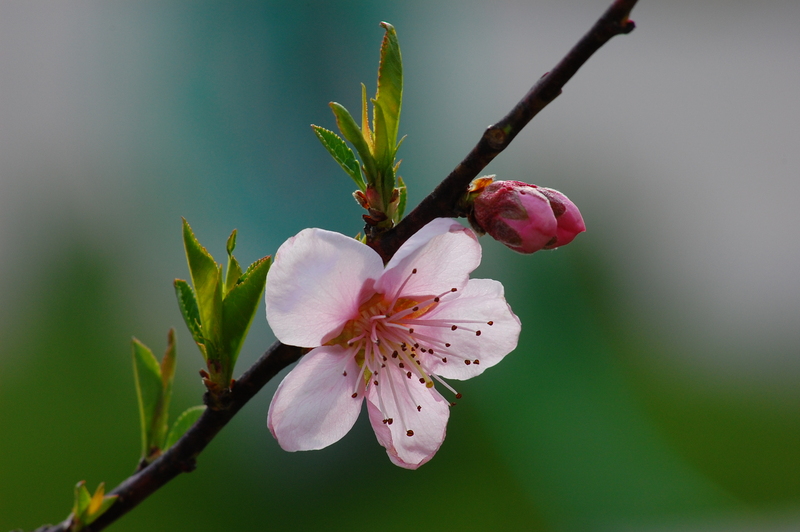 It has a number of medical applications (you can usually find an astringent extract of the same name in your pharmacy), and has been used as a tea, poultice, extract, and tincture to treat bleeding wounds for a long time, according to botanical.com. The handy little book Folk Medicine in Southern Appalachia names witch hazel as a topical treatment for hemorrhoids and sunburn, and mentions it as an infusion for treating menstrual discomfort. But you’re probably not here for the medical qualities of the plant (although I should quickly make my regular disclaimer that nothing herein contained is intended as medical/legal advice and you should see professional guidance when using any herb, plant, or botanical). So let’s look at the folklore surrounding this plant. The name is a good jumping-off point. Wikipedia (forgive me, please) indicates that the appellation of “witch” to this plant is related to an Old English word meaning “bendable” or “pliant,” due to witch hazel’s extremely flexible branches. It also tangentially relates it to its folkloric use as a dowsing tool. Since being able to dowse for water or other hidden substances is often referred to as “witching” for such things, connecting the tree name to its application makes some sense. Essentially this could be a chicken-and-egg argument about which idea came first, so I’ll just leave the question hovering in the ether for you to contemplate. In this example, the informant shows a preference to peach branches over witch hazel (which I found in several other sources as well, particularly those focused on the American Southeast). Another informant of Randolph’s, one Mr. 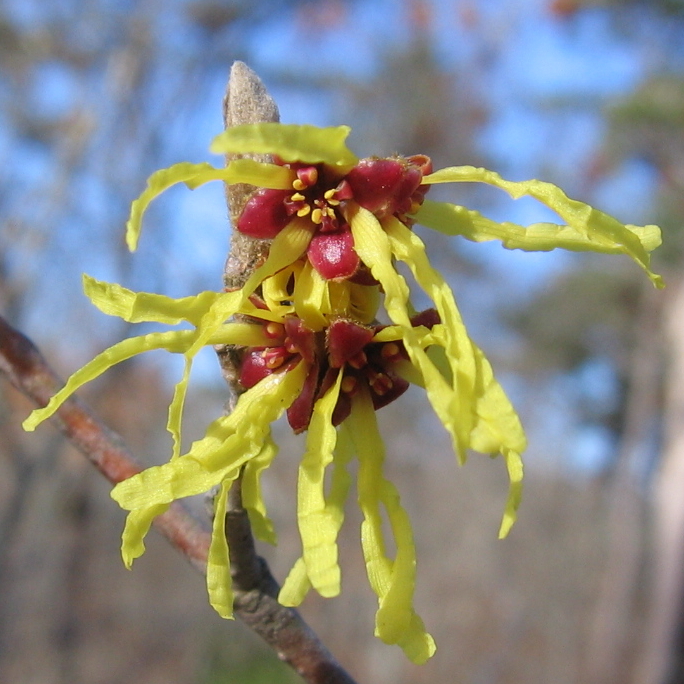 A.M. Haswell of Joplin, Missouri, espouses a staunch preference for witch hazel. Regardless of the tree, the technique remains the same. This account does not mention the holding method, which usually involves a palms-up grip, with the thumbs pointing out and away from the body. The stick ‘turning’ is a violent bobbing action, and truly accomplished dowsers can count the bobs to indicate approximately how deep the well is (thirty bobs equals thirty feet, for example). Witch hazel can be used for other magical applications, too. A technique which seems—to me, anyway—related to its pharmaceutical properties involves using hazel branches to cure warts, scars, or blemishes. The patient takes a hazel stick, cuts three notches into it, applies some blood from the afflicted body part, and casts it into running water (Folklore of Adams County, Hyatt). One version of this method recorded in Folk Medicine by William Black involves writing one’s name on the branch and filling those grooves with blood. The plant can also be used in protection magic. Randolph mentions that Ozark hillfolk would tie hazel twigs into little crosses and hung on their walls to guard against disease, especially in barns to safeguard the animals (p.284). This is somewhat like the rowan tree charm, which involves crosses of rowan twigs bound by red thread used as protective aids. So as you are out on your autumn evening walks, keep an eye out for this gorgeous and rather useful magical plant. Try your hand at dowsing, or just make some healing or protective charms. But make friends with the poor, sweet witch hazel. She gets awfully lonely, and we don’t want her out hunting wabbits, do we?